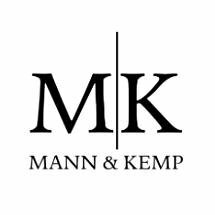 At Mann & Kemp, PLLC, in Little Rock, Arkansas, the attorneys in our law firm focus on family law. With over 26 years of combined experience, we stand ready to be there for our Central Arkansas clients, providing outstanding advice, counsel and representation every step of the way. We are honored that our clients choose us to represent them in the legal challenges they face in their lives. We always treat our clients with the respect and dignity they deserve, fully communicate with them on a day-to-day basis, and keep them advised and informed throughout the course of their respective cases. After all, we are as invested in the outcomes of their cases as they are. We also are mindful of our clients' financial situations, and our law firm accepts all major credit cards for payment of our reasonable and competitive legal fees.